Our living room, office, spare bedroom & spare bath are sooooo closed to being finished. Can you believe we've been working on this since October? I totally cant. We've been living in a quarter of our house for over 4 months. Crazy! This weekend we get the flooring installed & hopefully we'll put down the base boards. Then, guess what? We can move the couch down from the dining room & actually start settling in! We have a massive book case being built as well as working on building our desks (btw if you have any desk solutions for building your own, shoot them too me...I can't find any I like!). Our desks are both going to be over 7 feet long. That means tons of work space for both of us! Mine is under a wonderful window & Zach's is along the wall next to the stairs. To make my workspace a bit more, well I'm gonna say professional but I really mean more five sixteenths related...I picked up a cardboard 5, a 1, & a 6 at Meijer the other day for a dollar each. I also got gray paint (to match the blog background) for under a dollar. I've seen somewhere before a little online shop selling your blog name printed & framed.....I wish I knew where I saw this but it was ages ago! It was supposed to go on your office door as a fun little piece to give you more cred. You know, just all in good fun. This struck me when I saw it & fell in love. My desk area & studio are going to be an extension of Five Sixteenths so why wouldn't I make it the most five sixteenths I can? So these little numbers will get painted & propped up or hung above my desk. I can't wait to sort out all my things & get to making. I've been very limited in my making abilities these past few months but have been able to start stocking the Five One Six shop. These past few months I've had time to organize some ideas & think about some new products. I can't wait to add more & more! In fact, today you should look for an update to the pottery section. I'll be adding a bunch of bowl collections....keep a look out! LOVE this inspiration! 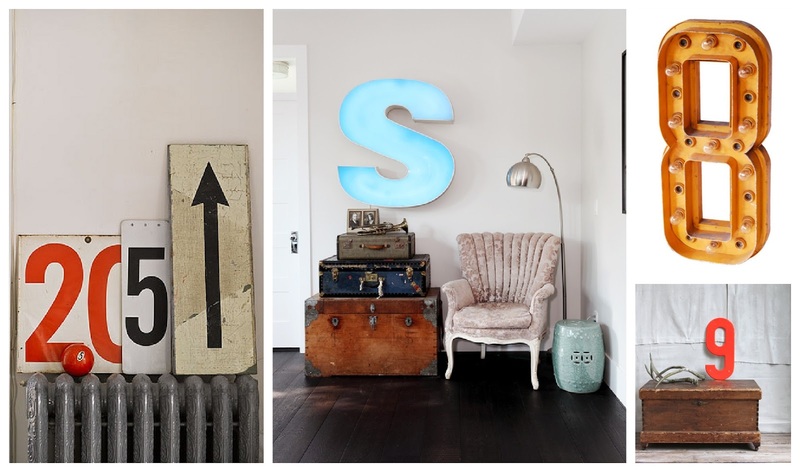 My friend has large typographic art on her wall, and I've been coveting something similar since I saw it! I'm excited to see how it all works out for you.